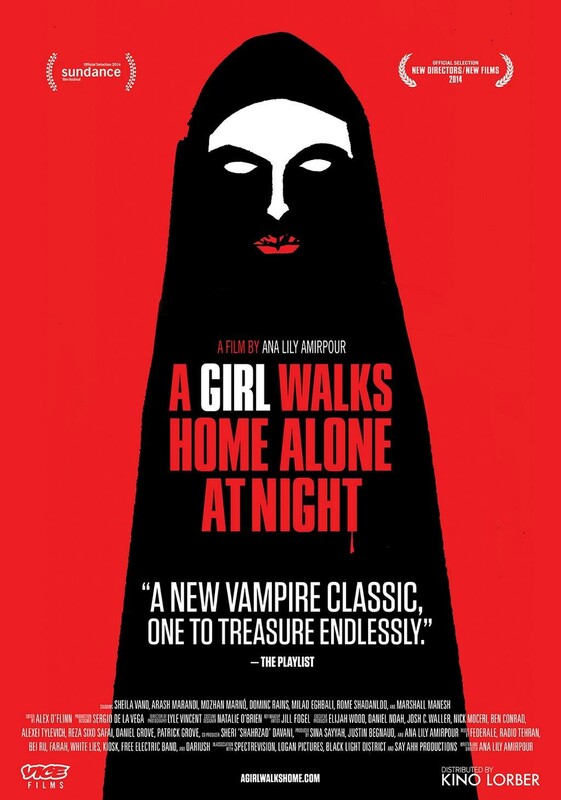 A Girl Walks Home Alone at Night is set in an Iranian ghost called Bad City, where the townspeople are unaware that they are being stalked by a lonesome vampire (Sheila Vand). A Girl Walks Home Alone at Night seamlessly and effectively blends a number of genres together, with moments of intense horror surrounding some genuinely lovely moments between ‘The Girl’ (Vand) and Arash (Arash Marandi) who is a hard-working, James Dean wannabe. The two lead actors in this film are fantastic. Vand gives a strong and unsettling performance, yet allows for moments of emotional vulnerability, something that is very rarely seen or done well in a horror character. Marandi also gives a great performance as Arash, who is a hard-working man who has to contend with the problems his heroin-addict father causes him. His performance is filled with vulnerability, which allows for a believable and moving relationship between Arash and ‘The Girl. The film is shot in stunning black and white. The cinematography throughout the film is quite brilliant, creating a dark, tense atmosphere that really brings the fictional town of Bad City to life. ‘A Girl’ is Ana Lily Amirpour’s first feature film, and she has really started on a high. There is a perfect blend of style and substance in this film, with some stunning cinematography and great storytelling. A Girl Walks Home Alone at Night is a unique film and one that I would highly recommend to people who want to see a film that adds something new and exciting to the horror genre.